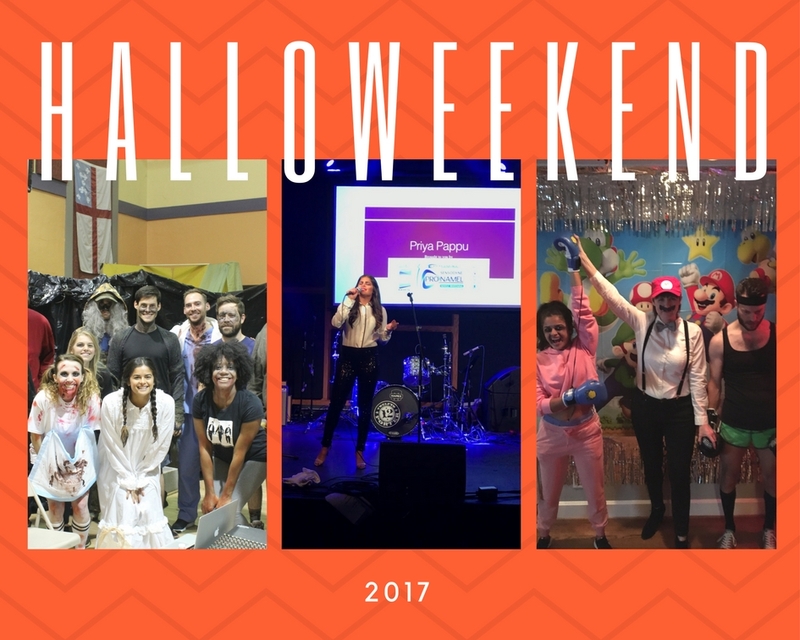 Weekend Update: Halloweekend 2017 | Priya the Blog | life & style in Nashville & beyond! Happy Halloween! I realized I had just enough spooky activity over the past week to warrant a full post. Friday night was our annual company Talent Night (I realize this isn't Halloween related, but it ended up being festive because of the timing.) My filler karaoke gag turned into a full-blown performance (I was kinda mortified to be sharing the stage with actually talented musicians/singers) but you know, it was fun, and a great continuation of #yearofBritney and great START to #Britneyweek (I am going to see Britney Spears in Vegas on Friday !!!!!) I posted a clip to my Insta and chose the most dramatic screen grab, you're welcome. Finally, to round out what was truly the best Halloween in recent memory, on Saturday night I went to an amazing "video game" themed party. I am dressed up as Little Mac from Mike Tyson's Punch-Out. Not my best work, but I have to say, video games are not something I am into at ALL! I did grow up watching my older brothers play Punch-Out on the original Nintendo. My friend Kyle was ALSO Little Mac (I know, what are the chances) but from Punch-Out after Nintendo lost their license to use Mike Tyson (green shorts vs. blue shorts, I did a lot of research.) I finished up the night out at a dance party with assorted friends, it was a very late and very fun night. How did y'all celebrate Halloween this year?? I would love to hear! I'm easily scared, so I have never fully completed a haunted house haha, but it seems cool to be behind the scenes of one. Have fun in Vegas & at the concert!! I just came back from Vegas yesterday morning, and I am exhausted.